Smart It is packed with features! Smart It accounting software helps you save time & money by working smarter. Small to medium business love Smart It because it is powerful yet easy to use. The General Ledger is the heart of Smart It. All transactions appear in the General Ledger. This will provide you with a full audit trail of transactions to ensure the integrity of the system. This outstanding module will assist you with managing stock, reducing cost, increasing sales and improving cash flow. The Invoice and Point of Sale (POS) module have been designed for fast and easy invoicing for all types of retail stores. Bookkeepers and admin staff love the ease of performing customer journals, payments & receipts as well as amending errors. 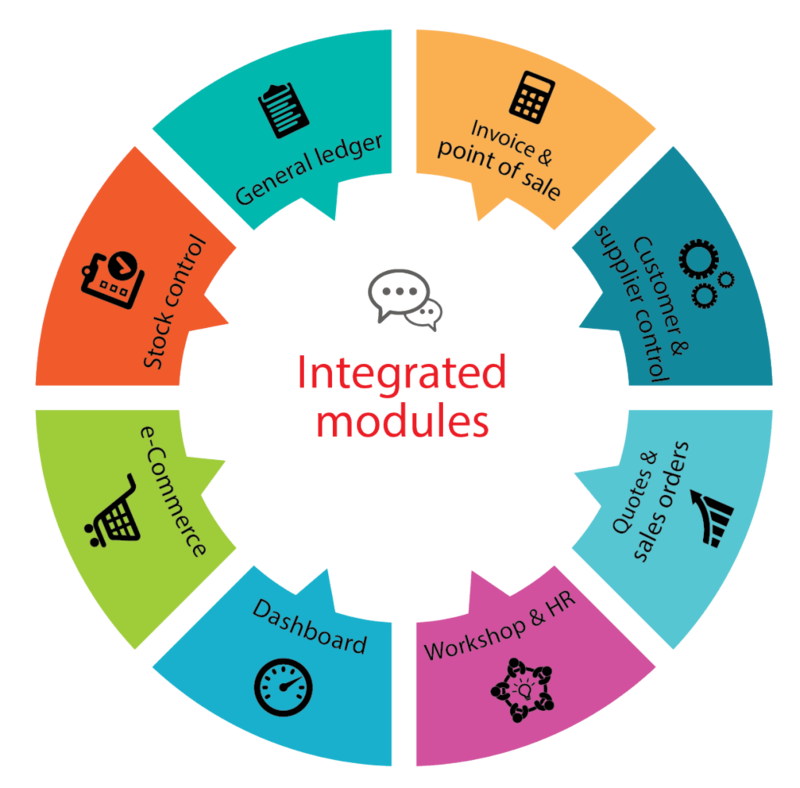 The supplier module provides you with a way to manage creditors. Bookkeepers and admin staff love the ease of performing supplier journals, payments & receipts as well as amending errors. The quote module allows you to create quotes quickly and accurately. The sales orders created directly from the quotation or directly assist users with efficient sales order processing. The workshop/job card module is ideal for automotive workshops, computer workshops and the like. The dashboard is a great tool to view the health of your business. The Employee module will help manage employees’ salaries, payslips, leave and equipment. siLink is our way to exchange information between suppliers and resellers or between franchisor and franchisee. The solution to electronic document interchange.